Theresa May is going to accelerate cross-party Brexit talks this week as MPs come back from a long Easter holiday break. The UK’s prime minister will step-up negotiations with Labour in a bid to strike a compromise as soon a possible. Cabinet ministers presented a rosy picture when asked about the outcome of the discussions. However, in private, they confessed that Labour’s plan of a permanent customs union leaves the PM empty-handed. The clock for May is ticking and she needs to act quickly before her party suffers a crushing defeat in the May European elections. Labour is offering no incentive, and eurosceptics and the DUP are demanding changes that PM May isn’t willing to make. Because of this, a parliament-approved Brexit plan might have trouble coming to life before the October 31st deadline. But May will need to receive all the help she can as her Conservative party faces a strong defeat in the EU elections, a poll shows. In the likely scenario that May fails to persuade parliament to back her deal by May 22 – a day before the European elections commence – she could face a new leadership challenge. Despite surviving a confidence vote that cannot be re-challenged until December, Conservative MPs and backbenchers are discussing the potential to remove her from Number 10 within a matter of few days. In fact, it is not certain she will even have until May 22nd as Downing street requires a more pro-Brexit PM and fast. Is There Hope For Pound? The British pound fell below the $1.30 support last week. Although, in consolidation, prices have broken outside both the minor and major ascending channels. And this adds a bearish bias on sentiment. With GBPUSD remaining below $1.30, we expect short-term weakness to weigh the currency pair down. But the likelihood of retesting the former channel resistance also plays a part. GBPUSD trading has become very stagnant over recent days as traders await the outcome of the current round of Brexit negotiations. The UK is due to leave the EU on Friday, though it now looks like the PM’s further extension request will be granted by the EU. Leaders are meeting today to discuss the situation. May has asked for an extension until June, though the EU is reportedly considering offering a one-year extension. Such an outcome would likely be a big boost for GBPUSD which is still languishing at the bottom of the 1.30 – 1.33 range. Over the European morning on Wednesday, the US Dollar continued its drift lower, posting a third consecutive day of red, as of writing. The USD index is now challenging the 96.57 with a very heavy tone to the day’s trading. Looking ahead to today’s US session, there is plenty of event risk. Both the March CPI and March FOMC meeting minutes are due for release. CPI is expected to improve from last month’s reading, while the FOMC minutes are expected to pour further light on the current state of the US economy. So, we could have a mixed USD outcome from today’s data. EURUSD continues to take advantage of a weaker USD. Despite ongoing concerns around the health of the eurozone economy, as well as the uncertainty from Brexit, EUR has risen against USD today, trading up to 1.1278 last. 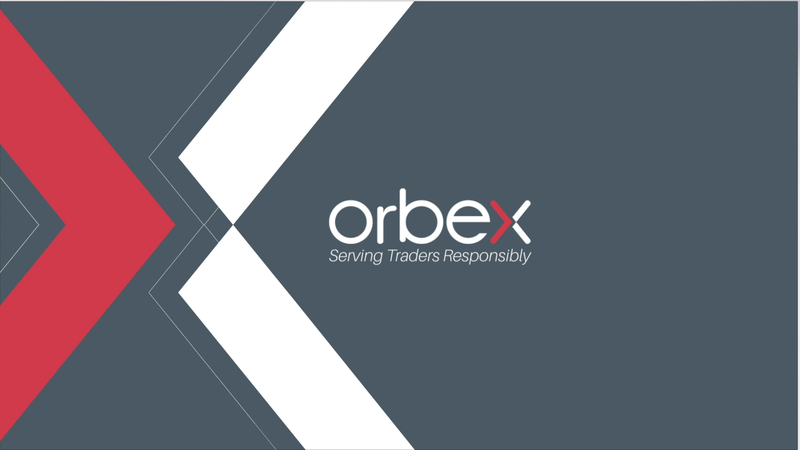 Today, traders are waiting for the ECB’s April meeting which could see the bank introducing a tiered deposit scheme for banks while reaffirming its view of concern regarding the economy and the need for rates to stay on hold. Equities prices are trading a little higher today, following a pullback yesterday. USD weakness along with the prospect of Brexit being delayed by a year have boosted optimism once again, leading to better risk sentiment. SPX500 traded 2883.68 last, still well above the 2860.11 support level. Gold prices have continued their recent winning streak into a fifth consecutive day today as a weaker USD allows the recovery to continue. Price is now trading 1304.05, sitting just below yesterday’s session highs. A weak CPI print or further dovishness from the FOMC minutes tonight could provide the platform for a proper move higher in gold. Despite the weaker USD, USDJPY traded a little higher though likely as a result of technical buying off the 111.10 level support. The FOMC minutes later will be key in determining which way price breaks from here. Oil prices, while still up on the week, saw a retracement lower yesterday as the weekly API report indicated a further build in US crude stocks. However, price has since recovered and is trading in the green again ahead of the weekly EIA report due later today. For now, price is sitting just under the 64.36 level resistance. The commodity currencies are mixed again today as, despite the continued rally in oil and weakness in USD, USDCAD rose again today. After testing the 1.3294 support yesterday and briefly piercing the level, buyers have stepped in to take price back up for now. AUDUSD, however, is higher today and is once again testing the .7147 resistance which, if broken, will put focus onto the .7237 level next. If you’re feeling confused about the current Brexit landscape, you shouldn’t feel too bad. It appears that most leading UK politicians are equally as confused. As the UK continues to lurch towards the current April 12th Brexit deadline, there have been even more twists in the tale. Following cross-party talks last week, May announced the prospect of a compromise with the Labour party in a bid to secure their support for a deal. May was supposed to hold a fourth parliamentary vote on her Brexit deal this week. However, she has ruled out such a move citing the current lack of support. May To Compromise on Customs Union? Such a compromise is said to involve the potential for remaining in an indefinite customs union with the EU following the official Brexit departure date. However, May has come under fierce opposition from members of her own cabinet who have deemed such a move as a “surrender” to Jeremy Corbyn. As the PM continues to fight for a Brexit deal she has asked the EU for a further extension, to June 30th.Under the current structure, the UK is due to leave the EU on April 12th unless it can secure a deal. This would then see the UK depart on May 22nd. May had initially requested June 30th, but EU leaders turned it down last month. President of the European Council, Donald Tusk, has further muddied the waters. He suggested that the UK agree to a 12-month Brexit extension, which he coined a “flextension”. Members of May’s own cabinet have fiercely opposed such an extension. The PM is due to hold more cross-party talks with Corbyn this week. That being said, it seems that all options are viable. EU leaders are due to meet this week for a special summit. Following the summit, May will hear if they approved her June 30th extension request. GBPUSD continues to trade within the bullish channel. This has framed price action since last year’s lows, recently finding support at yet another test of the 1.30 level. On the lower timeframes, you can see the bearish trend line running from March highs which offers immediate resistance for GBPUSD. Bulls will need to see a break above this level to keep bullish momentum on track or risk a break below 1.30. British Prime Minister Theresa May asked the European Union to delay Brexit until June 30, 2019. Will the GBPUSD fall? Such dynamics indicate the weakening of the British pound. In accordance with the referendum held on June 23, 2016, the United Kingdom had to leave the European Union on March 29, 2019. However, after British Prime Minister Theresa May’s numerous requests, the European Union postponed Brexit until April 12 at the meeting held on March 21, 2019. Prior to this, the British Parliament has rejected the agreement on leaving the EU three times. Meanwhile, Brexit, without an approved mutual agreement, may cause the UK significant losses and have a negative impact on the exchange rate of the pound. The elections to the European Parliament will take place on May 23-26, and the EU leaders are not interested in the participation of the UK at all, which will soon leave the European Union one way or another. The chances of resolving Brexit problems before these elections are not too high. In turn, the date of June 30 will not allow to hold a new referendum in the UK, as there will be little time for its preparation. This week, data on industrial production and foreign trade in February, which may affect the pound exchange rate, will be published in the UK. On the daily timeframe, GBPUSD: D1 is trying to leave the triangle and move downward. Most technical analysis indicators formed sell signals. The price decrease is possible if Brexit turns out to be unfavorable for the UK. The bearish momentum may develop in case GBPUSD falls below its last fractal low, the 200-day moving average line and the last fractal low at 1.297. This level may serve as an entry point. The initial stop loss may be placed above the two last fractal highs, the Parabolic signal and the upper Bollinger band at 1.327. After opening the pending order, we shall move the stop to the next fractal high following the Bollinger and Parabolic signals. Thus, we are changing the potential profit/loss to the breakeven point. More risk-averse traders may switch to the 4-hour chart after the trade and place there a stop loss moving it in the direction of the trade. If the price meets the stop level (1.327) without reaching the order (1.297), we recommend to close the position: the market sustains internal changes that were not taken into account. UK and global business will welcome Britain’s political leaders finally beginning to show leadership, affirms the CEO of one of the world’s largest independent financial advisory organizations. Nigel Green, chief executive and founder of deVere Group, is speaking after Prime Minister Theresa May had “constructive” talks with opposition leader Jeremy Corbyn on Wednesday afternoon to end the deadlock over Brexit. Further discussions between the two sides will take place over the coming days. The observation also comes as the House of Commons voted in favour of legislation which forces the UK government to request another extension to the Brexit process. Mr Green comments: “Finally it appears that some cross-party leadership is being shown in an effort to end the impasse. This must be and will be championed by businesses in the UK and those around the world that trade with Britain. “It is a national disgrace that nine days to go until the fifth largest economy in the world is supposed to be leaving the world’s largest trading bloc and no-one still knows what’s going to happen. He continues: “Should this happen, the pound and UK assets can be expected to rally. The British Pound roared back to life on Tuesday evening after Prime Minister Theresa May said she will be asking the EU for a “short” extension to the Article 50 process. Buying sentiment towards Sterling was further supported by May’s offer to hold fresh talks with Labour. While the GBPUSD has scope to edge higher, it remains too early to come to any conclusions with investors waiting for further developments on this matter. 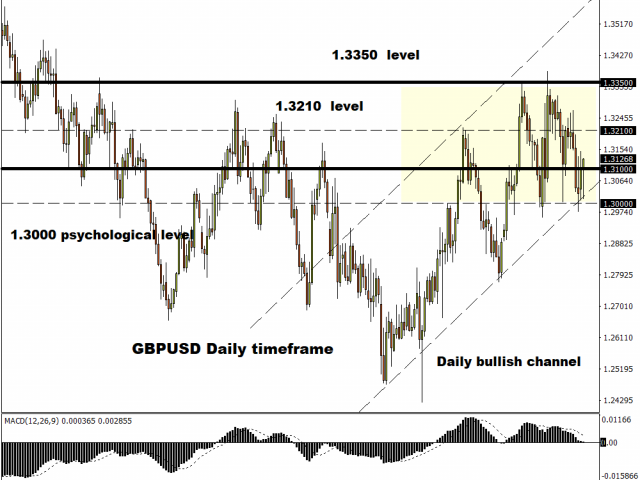 Focusing on the technical picture, the GBPUSD has the potential to test 1.3210 if a daily close above 1.3100 is achieved.